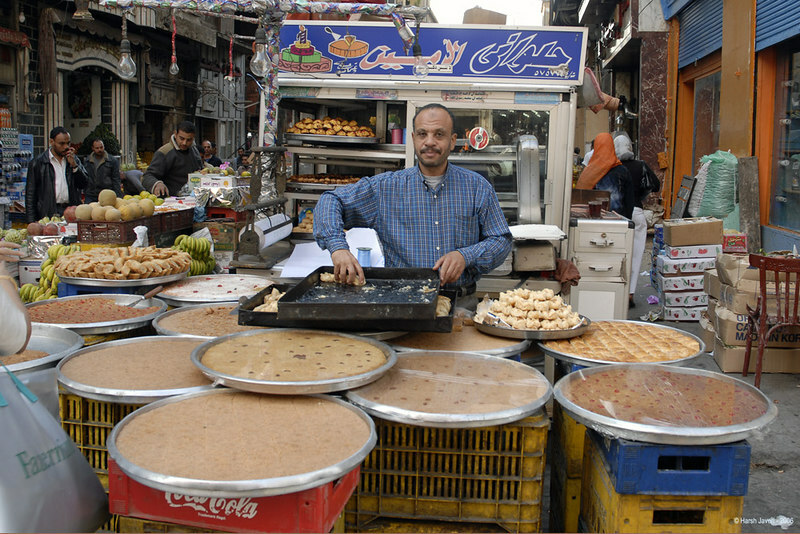 This street in the old part of Cairo was closed to traffic and there were stalls selling fruits, eatables, flowers etc. This sweetmeat vendor had put up a stall using plastic crates right in the middle of the road. Most of the food was freshly cooked or reheated on the spot. Yummy is right! Looks so tasty! Nice street capture. Afraid not, didn't want to risk it! But they sure have some delicious sweetmeats what we call Mithais in India. Brought home some for the family (bought from a shop!). And I thought such stalls were only in India! :-) Did you try any of them? Hershy, with you around one can see the most interesting cultures at home!